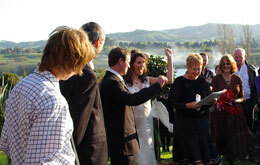 We are from Austria (Europe) and decided to get married in NZL. At the beginning we assumed that everything could be very difficult and complicated, especially thinking of the bureaucratic effort. 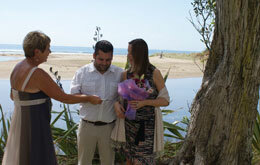 But in the end it was easy – also because we got a lot of support and hints from our celebrant Lexie Turner. We picked out Lexie among all the other celebrants because her website made a very reliable and professional impression. Her introduction and her appearance seemed to us very proficient on the one hand and on the other hand very sympathetic as well. We should keep right! 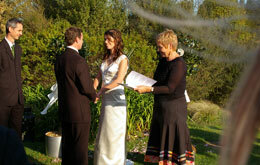 We arranged the whole preparation for the wedding ceremony via email – and it worked really well! Lexie´s suggestions were helpful and made things easier for us. She acted in a very caring and empathic way. Lexie created a ceremony which matched perfectly to our personalities as well as to our individual circumstances and she combined everything to a lovely ceremony that was representing both of us. Concerning the setting we decided for a beachside-wedding and Lexie recommended a wonderful place in an awesome landscape. Thanks a lot for everything Lexie! 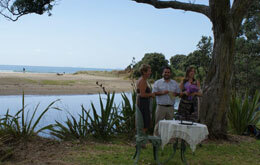 We were so fortunate to have Lexie officiate at our beautiful wedding on Waiheke Island. Lexie, thoroughly professional, has the ability to ensure a potentially stressful situation is a relaxed and happy occasion. Thank you Lexie for the time, thought and assistance you gave to making “our” day so special. From the 1st time we met Lexie we immediately felt at ease with her – she was so friendly and personable and we knew she was the right fit for us. She had some really great suggestions, but also offered us the flexibility to write our own ceremony, which was important to us. We appreciated her wealth of experience, her willingness to help us craft a unique and personal ceremony and her patience throughout the whole process. 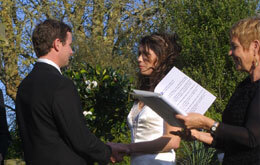 On the day, she did a wonderful job and created a warm and relaxed setting for us to say our vows to each other. We have since had many comments from friends and family about the ceremony, and wouldn’t hesitate in recommending her to others. 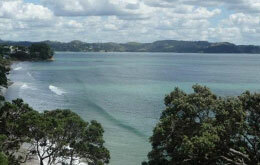 We contacted Lexie through her web page as we wanted to get married in NZ. What could have been a daunting task was made easy by Lexie. She put us in touch with the Births, Deaths & Marriages website to obtain our marriage license and emailed us some ceremonies to look through. We then chose excerpts from them as well as penned some of our own personal thoughts. 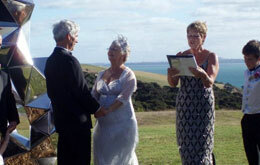 It was a beautiful, sunny day — we exchanged our vows in Lexie’s garden looking out to the Hauraki Gulf – a magical sea view ! It was a dream come true and the most memorable day of our lives! Thank you Lexie for making “our day” so special! 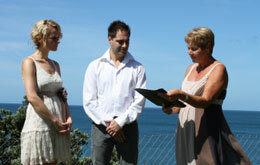 We were honoured to have Lexie Turner as our Marriage Celebrant. 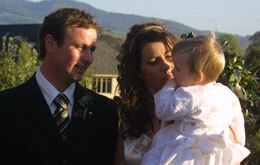 Lexie helped us to make our special day so warm and honest and so close to our hearts. We felt very comfortable taking guidance from Lexie and she encouraged us to get involved and make our day really unique and true to ourselves, which was greatly appreciated. Everyone wants their wedding day to be just perfect and having someone like Lexie to share that special time helped us relax on our day knowing that all would be as we wanted it. 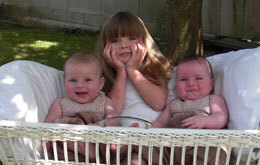 Lexie Turner was my father’s celebrant when he died in December 2010. Lexie is a very gentle person who is also very understanding and compassionate. Lexie listened carefully to the stories of my father’s life and wrote an interesting account of this which she later presented in an articulate and sensitive manner to suit the occasion. The funeral ceremony was conducted in a dignified and competent way and I thoroughly recommend Lexie’s services.